I represent many individuals charged with possession with intent to deliver narcotics in Philadelphia and the surrounding counties. This offense is commonly referred to as PWID but means dealing or selling drugs. I previously wrote about PWID, including common defenses and mandatory minimum sentencing. In order to sell or deliver drugs to another, one must obviously possess the drugs first. But, often clients come into my office and indicate that the police did not recover any drugs off them when arrested. So they ask the above question. But you do not need to have drugs on you when arrested in order to be charged, and more importantly, convicted of possession with intent to deliver. In fact, you do not even have to have sold or delivered drugs to another to be convicted of possession with intent to deliver. A mail package interdiction case where drugs are being sent through the postal service. Now, using each of the above situations, lets review a factual scenario where you are not arrested with any drugs on your person but where the evidence that you are guilty of possession with intent to deliver is still strong. Police will often target a known drug corner by setting up a surveillance from an undercover car or a confidential location. They will have back-up units in marked cars in the surrounding area. The officer(s) watching the corner, often referred to as the “eyes”, will wait for a dealer to start selling. Within an hour, police will see five people approach the dealer and hand him money. The dealer will repeatedly walk over to a drain pipe, retrieve small objects, return to the drug user and hand him something. The “eyes” will put a description and direction of travel of the buyer out over police radio hoping his back-up units will stop them. Some buyers get lost in the area as they enter homes or can not be found. But, police stop three of them on separate occasions at different locations. All three have blue $10 dollar packets of crack cocaine. These matching packets confirm the officers’ suspicions that what the dealer is selling is in fact drugs. Backup move on to the block for the “take down”. The dealer is arrested and has $220 on him and no drugs. One officer is directed to the drain pipe where the dealer was seen after getting money on five occasions. This is the dealer’s stash. There he discovers a small baggie with nine blue $10 packets of crack. No drugs were found on the dealer. Does the prosecution have enough evidence to prove the defendant guilty of possession with intent to deliver despite the fact that he had no drugs on him at the time of arrest? Philadelphia police come up with all different reasons to stop cars in high drug neighborhoods. You would be shocked at how many people fail to put on their turn signal, roll through stop signs, have a broken tail light or have invalid inspection stickers in these drug-infested neighborhoods. And, every one of them gets stopped by the Philadelphia police. Police approach the car and they see the driver making furtive movements towards the floor of the vehicle. They see his hand reaching down under the seat and his head bobbing up and down. When they approach, the driver is extremely nervous. Based on their observations they now “fear for their safety” so they ask the driver (and his passengers) to step out of the vehicle. After he does, police shockingly see a plastic baggie sticking out in the area between the center console and the driver’s seat right where the driver was sitting. Suspecting it is drugs, they pull the baggie out and find 4 bundles of heroin with rubber bands around each. The heroin is in blue glassine packets all stamped “TNT”. The police arrest the driver. On his person he has $680. The police then get a search and seizure warrant for the car based on the heroin they recovered. Upon execution of the warrant, police recover new and unused baggies, often used to package narcotics, from the glove box and additional drugs from the trunk. The driver did not have any drugs on him when arrested nor was he observed selling drugs, but the evidence is fairly strong that he constructively possessed the drugs with the intent to sell them. Oftentimes, passengers are even arrested in these situations and can be convicted under a conspiracy theory. It takes many people to run a business. And, the drug business is no different. While you need people to actually sell the drugs to buyers on the street as in the first example above, the dealer cannot possibly run the whole business. Can a cashier who actually delivers the products to you run an entire Target store? The dealer needs people to act as “lookouts” to try and make sure police are not around trying to shut down the corner. A Target needs Loss Prevention Officers and security to make sure no one steals. Someone needs to supply the street dealer with the drugs he is selling and provide him with additional drugs when he is sold out. Target needs stock boys to re-stock the shelves with merchandise. No dealer likes to have too much money on the corner in the event he gets arrested. So someone has to take money off the corner. Target has people empty the cash registered or take large bills from it. The lookout, the corner supplier and the individual taking money off the corner often get arrested during the take down of the corner. Police observe their actions and arrest them as co-conspirators of the dealer. None of them were in possession of drugs at the time they were arrested. In fact, two of them, the lookout and the money man, never touched drugs at any point. But, there is still significant evidence that they played a role in the drug business. 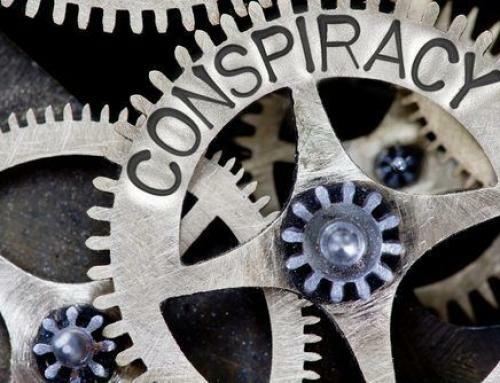 A conspirator is responsible for every action of his co-conspirator. Therefore, he is guilty for every sale that the dealer made even if he never made a sale himself. There are defenses available for these conspirators but it does not mean they can not be charged and convicted of PWID. Drug dealers need somewhere to store their drugs before they are sold on the streets. Or, they hope that selling them behind closed doors will avoid detection by law enforcement. However, often times confidential informants or neighbors provide the police with tips about houses where drugs are being stored and sold. Police setup similar surveillance to the one described above when watching street level dealers. They observe buyers approach and hand unknown individuals money and or disappear inside the house for a short time. Those buyers are often stopped with matching crack cocaine packets. Undercover officers and confidential informants also use pre-recorded buy money to makes purchases from dealers selling from houses. 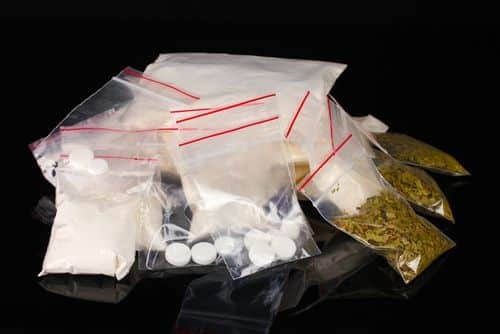 Once police have enough evidence that drugs are being sold from a property, they seek permission from a magistrate to execute a search and seizure warrant on the house. Once executed, police recover additional matching crack, scales, new and unused baggies, plates, razor blades, straws cut at a tip used for packaging the crack in the small baggies, a pot on the stove with cocaine residue, large amounts of cash, the pre-recorded buy money used to make an earlier purchase, proof of residence and other indicia of drug activity. The undercover officer identifies the individual who was answering the door dealing with the buyers and the confidential informant and arrest him for PWID. He has no drugs on him. However, there is a PECO bill and letters in his name addressed to that address. There is a gun under the bed where he was sleeping when the warrant was served. And, he has $730 in cash including $20 of pre-recorded buy money that was used hours earlier when an informant made a purchase inside the house. This person only had money on him when arrested but there is strong direct and circumstantial evidence that he was operating a drug business from the property. Marijuana is not often grown in Philadelphia. But, there is plenty of it being sold on its streets. So, it has to get here somehow. Many drug dealers have couriers that send it through the mail from source states such as California or Arizona. Oftentimes, the person it is being delivered to is not even told that it is marijuana. Rather, they are told to sign for a package that will be arriving on a certain date and they will be paid $100 for receiving the package. The recipient is told to text or call a number when the package arrives. Police in the source state get a warrant to open the package and confirm that there is marijuana within. They seal it up and ship it to its destination. However, instead of your regular mailman delivering the package, it is a police officer or postal police officer dressed as a mail carrier. Further, police have generally obtained an anticipatory search warrant from a magistrate to serve on the source house if all goes as planned. The officer approaches the door and has the seemingly unwitting resident sign for the package containing the weed. Police then wait for another car to arrive as they know that the marijuana is not going to stay there for long. As it turns out, two men arrive in the exact vehicle police had information about. One goes to the door and is seen paying the occupant and receiving the package that was just delivered. The vehicle drives off and police stop the car and conduct an investigation. The delivered package is found in the backseat and both occupants of the car are arrested and charged with possession with intent to deliver marijuana, conspiracy and related offenses. The defendants have large amounts of cash on them and drug paraphernalia in the vehicle as described in the above house. The package was not on either the driver or passenger at the time of their arrest and the driver was never seen holding the drugs. But again, the evidence of their possession and intent to deliver the bulk marijuana seized is fairly strong. They could try to claim that they had no knowledge of what was in the package or the driver could argue mere presence. 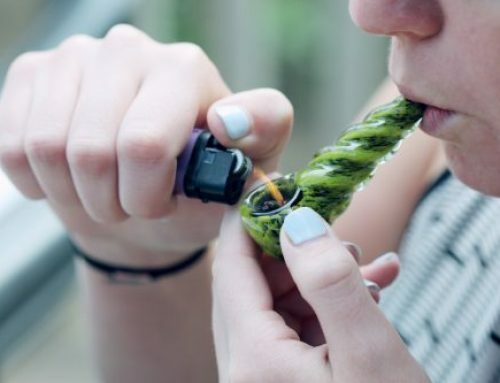 As the above examples demonstrate, you do not need to be in possession of drugs at the time of your arrest to be charged with possession with intent to deliver. You do not even need to be seen delivering or selling drugs to be arrested, charged and ultimately convicted of possession with intent to deliver. It is what you intend to do with drugs that you actually or constructively possess that becomes the legal issue. Possession with intent to deliver is a serious felony offense in Pennsylvania and is often associated with mandatory minimum sentences laid out in the below chart. Just because the above examples demonstrate strong evidence of guilt does not mean that there are no defenses to possession with intent to deliver charges. You can read more about some of those defenses here. It is important that you have a strong advocate in your corner if charged with narcotics offenses. 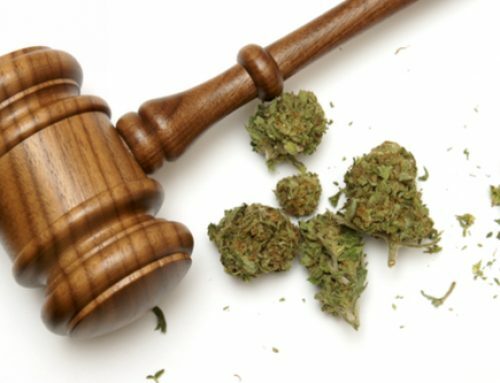 If you or someone you know has been arrested for possession with intent to deliver or conspiring to do the same in Philadelphia or the surrounding counties, contact criminal defense attorney Brian M. Fishman for a free consultation.